Justice for Iran (JFI) | 23 January 2015- Soheil Arabi, a 29 year old Iranian citizen, who has been sentenced to death for ‘insulting the Prophet’ in his Facebook activities, is now being refused the right to have his case reviewed by the Supreme Court. Amirsalar Davoudi, Soheil’s lawyer, told Justice for Iran (JFI) that Tehran Prosecutor General has refused to hand over Soheil Arabi’s file to Branch 34 of the Supreme Court which is due to decide whether he deserves a retrial, according to Soheil Arabi’s lawyer. Already on the list of EU restrictive measures, Tehran Prosecutor General Abbas Jafari Doulatabadi is a notorious perpetrator of human rights abuses. JFI warns that if this unlawful approach towards Soheil Arabi’s case continues and his case is not sent to the Supreme Court for retrial, he will undoubtedly be closer to the gallows and could be executed at any time. 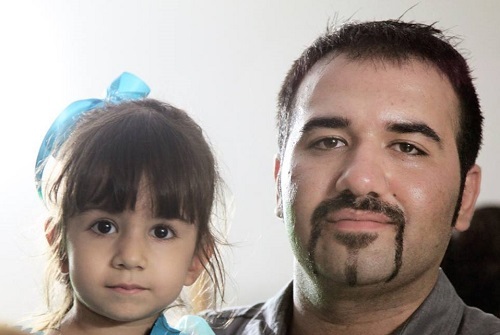 Soheil, father to a 5 year old girl, was arrested on 5 January 2014 by the Revolutionary Guards Corps (IRGC). Tried in three different courts, he has been sentenced to death, three years imprisonment and 74 lashes for different charges including “insulting the Prophet”, “propagating against the regime” and “insulting the Supreme Leader” in separate cases, stemming from the same Facebook posts. On 24 November 2014, a criminal court ruling, sentencing Soheil Arabi to hang was upheld by the Branch 41 of Iran’s Supreme Court. The court transferred his file to the judiciary’s implementation unit which opened the way for his execution. However, things began to look hopeful when his lawyers heard that his appeal had been accepted and another branch of the Supreme Court has demanded his file back from the implementation unit to the court for a judicial review but Tehran Prosecutor General Abbas Jafari Doulatabadi, keeping the file, is refusing to send it to the Supreme Court where it will be decide whether a retrial would happen after a judicial review. “It is unclear why the Prosecutor is approaching the case in this manner,” said his lawyer. 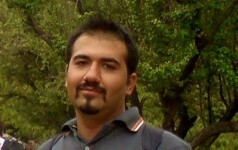 Although Soheil’s family were given a verbal promise that he would not be executed, he was unexpectedly displaced from 350 Ward of Evin Prison to solitary confinement in A2 Ward, a special section of Evin prison that the Revolutionary Guards control on 5 January 2015. Soheil was told by the authorities that this was due to his case becoming widespread in the media. Soheil’s lawyer told JFI that he has been forced by the authorities of A2 Ward to be videoed expressing his remorse. Soheil’s lawyers do not know how and where this video is going to be used. Soheil’s lawyer told JFI that he has been forced by the authorities of A2 Ward to be videoed expressing his remorse. JFI has conducted an elaborate investigation which includes studying the case and the verdicts closely, taking testimonies from his lawyers, Amir Salar Davoodi, Vahid Moshgani, and his wife Nastaran Naimi, and checking all the procedures of the case for conformity with Iran’s international commitments. JFI has revealed that there have been a number of severe violations of human rights in the procedures of arrest, interrogation and trial of Soheil Arabi. Arrest without an official warrant, no opportunity to contact his family, no access to legal advice, taking confession under duress and threat, violation of the right to life and of the right to freedom of expression are some of the instances of human rights violation in this case. 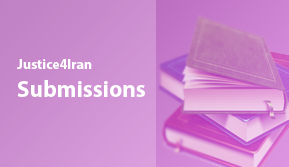 Based on its international commitments, the Islamic Republic of Iran has a duty to comply with these human rights standards and to take legal actions against offenders in the case of violations. Once again, JFI demands that the violators of human rights in this case be held accountable for their actions. Amongst them are individuals already known to be perpetrators of human rights abuses, such as Judge Shafie, Judge Siamak Modirkhorasani, Judge Abolghasem Salavati and Judge Ali Razini. Judge Abolghasem Salavati is already on the list of the EU sanctions for his intensive violations and abuses of human and civil rights. 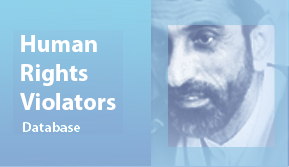 JFI has published reports on the violations carried out by these human rights abusers. In a previous statement, JFI demanded that Soheil Arabi’s death sentence be repealed, as well as his other sentences of 74 lashes and imprisonment. The organisation also published a detailed report on the items of human rights violation in his case. In light of this latest development, JFI reiterates its call to the Islamic Republic of Iran to respect its human rights commitments in the handling of Soheil Arabi’s case.